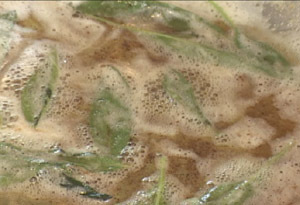 Melt butter in a large shallow skillet or fry pan over moderate heat , being careful not to brown it. Reduce heat and allow butter to reduce for a few minutes. 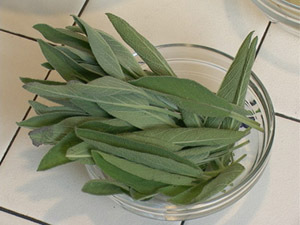 Add the fresh sage leaves and stir to allow the leaves to be gently toasted. Keep an eye on the mixture to make sure butter doesn't burn. When the leaves are nicely crisped, the sauce is done. Season to taste with salt and pepper, then serve spooned over your favorite pasta or potato dish and top with with a little shaved Parmigiano cheese.